A great way to start the evening is to serve mulled wine to your guests as they come in from the cold. It would be embarrassing to run out of drinks, so get a good estimate of the bottles of wine you’ll need. Remember that each bottle of wine can fill about six small glasses, and a person drinks about four glasses on average. For a glamorous touch, serve classic cocktails such as Manhattans, dry martinis, and mimosas, which is simply one part Champagne and one part chilled orange juice. If Champagne is not within your budget, an Italian sparkling white wine, such as Prosecco, is a great alternative. Be sure to have non-alcoholic drinks or “mocktails” as options. For your menu, select delicious yet simple-to-cook recipes with seasonal ingredients. Start out with a salad, and then serve a main dish with rice, pasta, or potatoes. Accompany the main with two different colored vegetable sides, and finish off with a good dessert. If you want to include appetizers, finger foods such as Smoked Trout Crackers with Lemon-Dill Mayonnaise or classic Devils on Horseback, are tasty options that are simple to make. 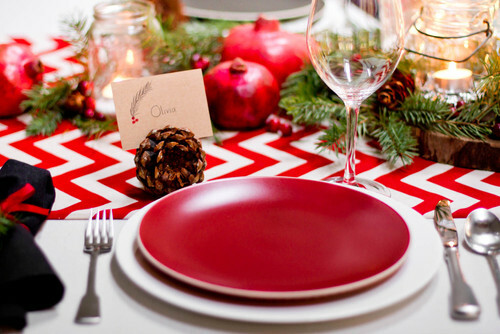 Keep these Christmas party tips in mind and host a fun and fabulous holiday party that your guests will surely enjoy.